For the World War II battles, see Battle of Guam (1941) and Battle of Guam (1944). 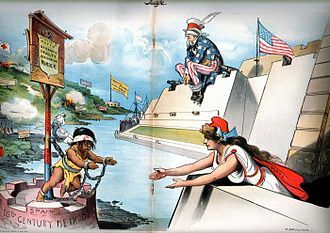 The Capture of Guam was a bloodless event between the United States and the Kingdom of Spain during the Spanish–American War. The U.S. Navy sent a single cruiser, USS Charleston, to capture the island of Guam, then under Spanish control. 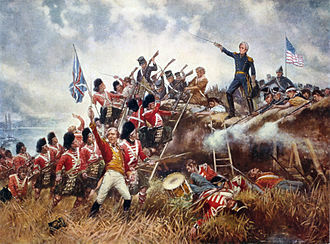 However, the Spanish garrison on the island had no knowledge of the war and no real defenses. They surrendered without resistance and the island passed into American control. The event was the only conflict of the Spanish–American War on Guam. Upon the receipt of this order, which is forwarded by the steamship 'City of Pekin' to you at Honolulu, you will proceed, with the 'Charleston' and the 'City of Pekin' in company, to Manila, Philippine Islands. On your way, you are hereby directed to stop at the Spanish Island of Guam. You will use such force as may be necessary to capture the port of Guam, making prisoners of the governor and other officials and any armed force that may be there. You will also destroy any fortifications on said island and any Spanish naval vessels that may be there, or in the immediate vicinity. These operations at the Island of Guam should be very brief, and should not occupy more than one or two days. Should you find any coal at the Island of Guam, you will make such use of it as you consider desirable. It is left to your discretion whether or not you destroy it. From the Island of Guam, proceed to Manila and report to Rear-Admiral George Dewey, U.S.N., for duty in the squadron under his command. The message created intense excitement and enthusiasm among the seamen. Many of them immediately went to the ship's library and eagerly scrutinized charts, geographies, histories, and encyclopedias for information. While the sailors were in the ship's library learning this information about the island of Guam, Captain Glass altered the direction of the cruiser toward the new destination. The soldiers and sailors on the transports were stirred when they noticed the change in direction, and rumors started instantly. Some thought the expedition was to hoist the American flag over the Caroline Islands and remain there until reinforcements arrived for a stronger descent upon Manila. Others guessed that Charleston was sailing to some mysterious island of Spain, complete with impregnable fortifications, a formidable force of Spanish soldiers, and vast quantities of coal. The rumor mongering stopped the next day, when the correct news was wigwagged to the transports. Along with the sealed orders were warnings of possible Spanish men of war in San Luis d'Apra, the main port of Guam, and notification of it being protected by a heavy battery of guns. The existence of the heavy armament was verified by reputable travelers who had visited the island within the two or three years before 1898. Definite information of the size of the Spanish garrison was not given, and in the absence of direct knowledge, the captain of the cruiser had to assume that there might be more than a thousand fighting men on the island who were thoroughly familiar with the terrain. Glass held a conference on Australia, and invited General Anderson, Commander William C. Gibson, naval officer in charge of the transports, and the captains of the three troop carriers were invited to participate in the discussions. Also present at the meeting was T. A. Hallet, third officer of Australia and a former whaling captain, who had been to the Mariana Islands many times. Hallet told the group that on his last visit to Guam, San Luis d'Apra was strongly fortified. Fort Santa Cruz and the battery on Point Orote, he stated, were efficiently manned and equipped. After a complete appraisal of all the known and unknown factors in the impending battle, the officers completed the arrangements for the attack on Guam. It was soon noticed by the troops that Charleston expected a fight, since the cruiser began firing subcaliber ammunition at boxes tossed from City of Peking. This mild training continued until the afternoon of June 15, when the American cruiser started circling and firing service charges at pyramidal cloth targets set adrift from the cruiser herself. The range was about 2 mi (1.7 nmi; 3.2 km), and the gun crews, which were composed largely of the green recruits under the command of Second Lieutenant John Twiggs Myers, were shooting accurately enough to cause Captain Glass to smile pleasantly. 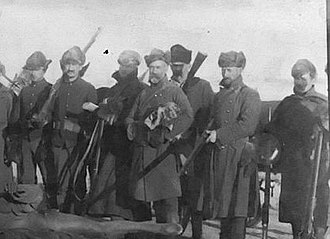 By the time the convoy crossed the 180th meridian, the officers and men felt they were ready for the enemy. On June 20, Captain Glass arrived off the shore of Guam, and he noticed that the only ship in the harbor was a Japanese ship that was trading copra. Many of the men on USS Charleston were disappointed that there were no Spanish ships to engage. As the cruiser proceeded on its way, a small group of curious inhabitants gathered on the shores of Piti, a landing place down the bay. These locals were aware of the presence of the American vessels, for they had been sighted early that morning. All of the important citizens of Guam were there with the exception of the governor, Don Juan Marina. The chief officials present were a lieutenant commander of the navy and captain of the port, Don Francisco Gutiérrez, Don José Romero, naval surgeon, and Captain Pedro Duarte Anducar of the marine corps, and José Sixto, civil paymaster. Among the prominent civilians at the beach were Francisco Portusach, the leading merchant of Guam, and his brother José Portusach. While the gathering was looking curiously at the cruiser and the three transports, Charleston fired 13 rounds at the old Spanish fortress from three of her guns. There was no return fire, and there was no apparent damage to the fort. Pedro Duarte turned to his companions and said that the ship must be saluting the fort, so he hurriedly dispatched a messenger to Agana, the capital, which was about 6 mi (9.7 km) away, requesting the governor to send artillery to Piti to return the salute. 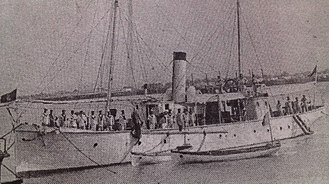 The captain of the port, the naval surgeon, and a native Chamorro named José Paloma got into a boat furnished by Francisco Portusach and went out to welcome the visitors. José Portusach went along with the party to act as interpreter. When they finally got aboard the deck of Charleston, Glass immediately informed them that war had been declared between the U.S. and Spain. The Spanish officials were amazed when they heard this and the news that they were now prisoners of war, because no dispatches or mail had arrived since April 9 to enlighten them. They were then paroled for the day when they promised to return to Agana to inform the governor of the war and notify him to appear on board the American ship immediately. The party then went below deck into the captain's cabin to discuss the surrender of the island. As they were going below, Francisco Portusach sailed across the bow of the Charleston in a whaleboat with the American flag at the topmast. A loud voice from the ship called, "Frank, come on board." 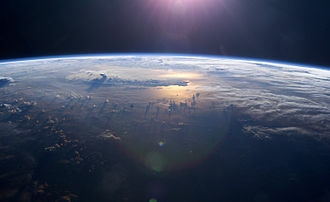 Portusach looked up to the deck and saw Captain Hallett, a man whom he had known years before. The skipper of the whaleboat then went to the lee side of the cruiser and clambered aboard. When he reached the deck, he was surprised to find a reporter with whom he was acquainted, a representative of the San Francisco Chronicle. While the reporter and the old whaling captain were talking about old times, Lieutenant William Braunersreuther, the navigator, walked up to Portusach and demanded to know by what right he was hoisting the American flag at the topmast of the little boat. The Guam merchant merely grinned and replied the flag was being flown legally. The lieutenant promptly requested proof, and Portusach produced American naturalization papers from an inside coat pocket and handed them to the doubting Braunersreuther who looked at them and said, "Well! Twenty-second of October, 1888, Chicago, Cook County, State of Illinois." The navigator examined the document more thoroughly and requested Portusach to accompany him to visit Glass. The "welcoming party" had just departed for shore, so the two men entered the captain's cabin, and the lieutenant handed the naturalization papers to Glass who looked at them for a few moments. 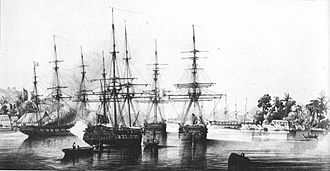 He had already heard from José Portusach that Francisco possessed some lighters and boats, so he greeted the merchant by inquiring if it was possible to obtain the use of two lighters and a boat to transfer coal from City of Peking to the bunkers of Charleston and offered to pay for the service. Portusach agreed to furnish the boats without compensation since he felt an obligation, as the only United States citizen on the island, to aid his country in time of war. Francisco Portusach returned to Piti where his brother was waiting for him, and was informed that the Spanish officers were under arrest, but had been paroled with the understanding that they would deliver themselves on board Charleston so they might be taken to Manila as prisoners of war. Francisco then ordered his head boatman, Tiburcio de los Santos, and several of his men to deliver the lighters and boats to Charleston early in the morning. The two brothers got into their buggy and started for Agana. On the road home they met several soldiers who were struggling with two small artillery pieces which had been turned back by Captain Duarte since it was not necessary to salute the American cruiser. When they arrived home, a letter was waiting for Francisco from Governor Marina which said: "If you give any assistance to the American men of war, you will be executed tomorrow morning at the beach." After reading the note, Guam's leading merchant laughed. His wife, an American woman he had married in San Francisco, asked what was in the message, and became apprehensive when he told her. Jose warned him to be careful, especially when he learned that boats had already been promised to the Americans. His brother replied that the boats would be delivered in the morning regardless of the threatening message. By the captain of the port in which you have cast anchor I have been courteously requested, as a soldier, and, above all, as a gentleman, to hold a conference with you, adding that you have advised him that war has been declared between our respective nations, and that you have come for the purpose of occupying these Spanish islands. It would give me great pleasure to comply with his request and see you personally, but, as the military laws of my country prohibit me from going on board a foreign vessel, I regret to have to decline this honor and to ask that you will kindly come on shore, where I await you to accede to your wishes as far as possible, and to agree as to our mutual situations. Asking your pardon for the trouble I cause you, I guarantee your safe return to your ship. By this time, Glass suspected that the governor was perpetrating a trick. An ultimatum was prepared for delivery to the governor of Guam and arrangements were made for a presentation of it on the following morning. At 08:00 the next morning, Lieutenant Braunersreuther was waiting to take command of a landing party composed of the Marine guard of Charleston, the Marines from City of Peking, and two companies of the Oregon volunteer regiment on Australia. He had specific instructions to go ashore and capture the governor, his officers, and any armed forces on the island. The men had difficulty in getting the boats ready, so the lieutenant left without them in a small boat, merely taking with him Ensign Waldo Evans, four sailors, and two newspaper reporters, Douglas White and Sol Sheridan. He landed at the harbor of Piti under a flag of truce and there he was met by Governor Marina and his staff. After formal introduction, Braunersreuther handed the governor this ultimatum from Captain Glass: "Sir: In reply to your communication of this date I have now, in compliance with the orders of my government, to demand the immediate surrender of the defenses of the Island of Guam, with arms of all kinds, all officials and persons in the military service of Spain now in this island. This communication will be handed you tomorrow morning by an officer who is ordered to wait not over one half hour for your reply." 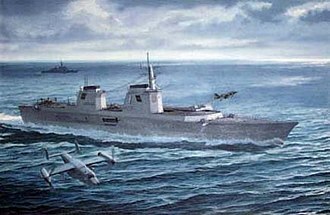 Then Braunersreuther called the governor's attention to the fact that only 30 minutes were allowed for a reply, and casually reminded him of the three transports loaded with troops and the formidable war vessel in the harbor. Marina and his advisers went into a nearby boatshed for consultation. Twenty-nine minutes later, they reappeared and handed the lieutenant a sealed envelope addressed to the commanding officer of Charleston. The captain's emissary, amid vigorous protestations from the governor, broke the seal and read the message which contained a notification of the surrender of the island of Guam. 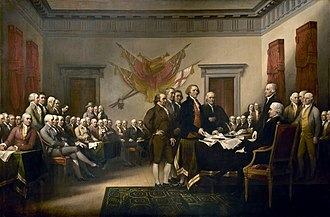 He then said, "Gentlemen, you are now my prisoners; you will have to repair on board the Charleston with me." The governor protested, claiming that he had not expected such action. He accused the lieutenant of treachery, as the Americans had come ashore under a flag of truce, before making the Spaniards prisoners of war. Braunersreuther replied that he had merely been instructed to deliver a letter and since he was now in possession of an offer of complete surrender, the Americans were permitted to make any demand they wished. The Spanish officials were allowed to write letters to their families. Afterward, Marina and his staff were taken to City of Sydney after sending an order to Agana for the Spanish soldiery and native militia to be at Piti landing no later than four o'clock that afternoon. 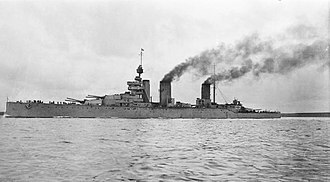 Braunsreuther then returned to the ships, obtained the marine guard, and returned to shore. 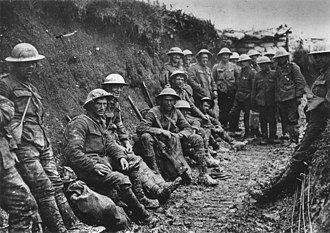 There, according to agreement, the Spanish soldiers were lined up awaiting surrender. Lieutenant John Twiggs Myers, later known for his command during the Boxer Rebellion, marched the Marines through the boathouse and lined them up so that the Spanish and native troops were between the Americans and the ocean. The 54 Spanish regulars and two lieutenants were disarmed, placed in a sampan, and transported to City of Sydney. Glass went ashore and raised an American flag over the fortifications while the bands aboard Australia and City of Peking played "The Star-Spangled Banner". His orders included destroying the island's forts, but Glass decided that they were in such disrepair that he left them as they were. Francisco Portusach and his workers finally completed transferring the coal from City of Peking to Charleston on June 22. Afterward, Glass took him to his cabin, and appointed him Governor of the island, until the arrival of proper American authority. After saying goodbye to the natives, Charleston and the three transports left the harbor at 16:00, and later joined George Dewey's fleet at Manila. ^ Larned, Josephus Nelson (1901). History for Ready Reference: From the Best Historians, Biographers, and Specialists; Their Own Words in a Complete System of History ... C.A. Nichols Company. p. 601. Beede, Benjamin R., ed. 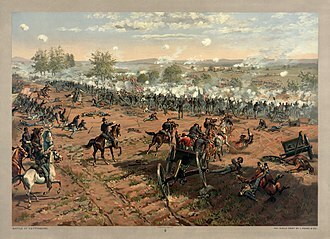 (1994), The War of 1898 and U.S. Interventions, 1898–1934, Taylor & Francis, ISBN 978-0-8240-5624-7 , ISBN 0-8240-5624-8, ISBN 978-0-8240-5624-7. An encyclopedia. The Arauco War was a long-running conflict between colonial Spaniards and the Mapuche people, mostly fought in the Araucanía. The Chilean War of Independence brought new hostilities to the frontier, with different factions of Spaniards and Mapuches fighting for independence, Mapuche independence finally ended with the Chilean occupation of Araucanía between 1861 and 1883. The modern Mapuche conflict is partially inspired in the Arauco War, Valdivia hoped to enlarge the territory under his jurisdiction and, despite injuries from a fall from his horse, resolved to take personal command of a land expedition into Araucanía. The expedition set sail from Valparaíso, entered the bay of San Pedro, and made landings at what is now known as Concepción and at Valdivia, encountering severe storms further south, he returned to Valparaiso. Valdivia himself set out in 1546, with sixty horsemen plus guides and porters, in 1550, a new expedition was launched, consisting of a naval force under Pastene, and a land force of two hundred Spaniards mounted and foot and a number of Mapocho auxiliaries under Valdivia. They planned to reunite on the shores of the Bay of Concepción, the expedition advanced beyond the Itata River and Laja River, to the shores of the Bío-Bío River. Along the way they had several battles with groups of Mapuches as they explored the region killing many with little loss to themselves. 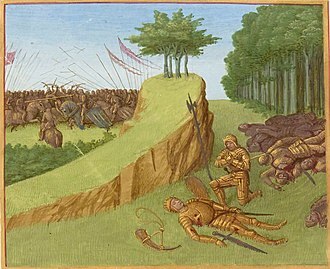 After spending over a week in the area and encountering increasing opposition, the night attack was defeated in a furious battle, the Spaniards suffered one killed and many wounds to men and especially their mounts. After a day treating their wounds they continued towards their rendezvous at the Bay of Concepción, there Valdivia began building a fort at what is now Penco. On February 23, Pastenes fleet anchored in the bay, brought supplies, reinforcements, on March 1 Valdivia founded here the city of Concepción del Nuevo Extremo. On March 3 of that year, the fort was completed and was attacked nine days by the largest force of Mapuches yet seen in the Battle of Penco and this force was broken and routed despite the small size of the Spanish forces. After reinforcement at Concepción in 1551, he organized another expedition to establish the fort La Imperial on the banks of the Imperial River and he returned to Concepción to prepare another expedition and await the reinforcements the Viceroy had promised to send by sea. Leaving orders that the new troops should disembark on the Tierras de Valdivia that Pastene had discovered earlier, once he had passed it on his way south, he ordered Jerónimo de Alderete to drive inland and establish a fort, with the goal of securing his eastern flank. To this end, Alderente reached Lake Villarrica and established a fort there, Valdivias column advanced southwards and joined the reinforcements sent from Peru, under the command of Francisco de Villagra. There, the city of Santa María la Blanca de Valdivia was established, after garrisoning these new places, Valdivia returned to his base at Concepción in 1552 where rich placer gold mines were found in the Quilacoya River valley. With the goal of securing the lines of communication with the forts, Valdivia launched a third expedition which established forts at Tucapel, Purén, Confines. The conquest of the Canary Islands by the Crown of Castille took place between 1402 and 1496. 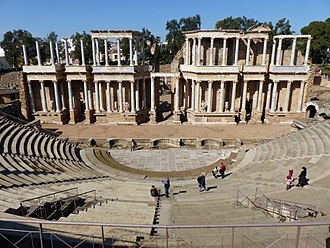 The ties between the Canaries and the Mediterranean world which had existed since antiquity were interrupted by the decline, although these linkages were weakened, they were not totally severed, and the Canaries isolation was not total. During the Middle Ages, the first reports on the Canaries come from Arabic sources, what does seem clear is that this knowledge of the islands did not signify the end of the cultural isolation of the native inhabitants. Ideological and political motives, the monarchies of Southern Europe entered an expansive phase, in the case of the Iberian royalty, their territorial expansion was spurred by the Reconquista against the Moors in Spain. For this reason, territorial expansion represented a reinforcement of royal power, the first visit by a European to the Canary Islands since antiquity was by Genoese captain Lanceloto Malocello traditionally dated 1312. Malocellos motives were unclear - it is believed he might have been searching for traces of the Vivaldi brothers who had disappeared off Morocco, Malocello made landfall on Lanzarote island, and remained there for nearly twenty years. Malocello may have attempted to erect himself as a ruler among the aboriginal peoples, according to some sources, shortly after his return to Europe, in 1336, Malocello led a return expedition to the Canaries, sponsored by King Dinis of Portugal. However, the existence of this expedition has been dismissed by most modern historians, although earlier maps had shown fantastical depictions of the Fortunate Islands, this is the first European map where the actual Canary islands make a solid appearance. 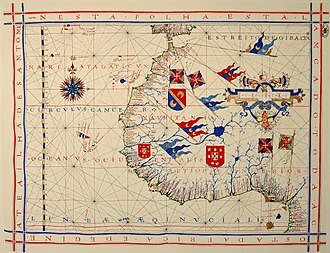 Cruising the archipelago for five months, the expedition mapped thirteen islands and surveyed the primeval aboriginal inhabitants, European interest in the Canaries picked up quickly after the 1341 mapping expedition. 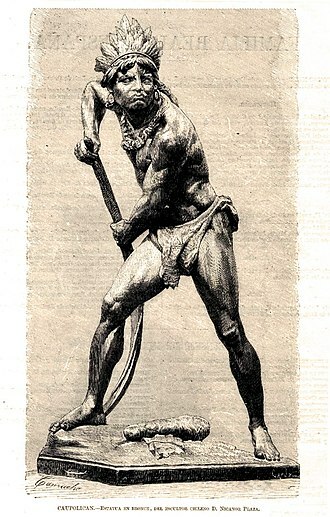 The descriptions of the primeval Guanches, in particular, drew the attention of European merchants, the results of these expeditions are uncertain. The Catholic Church was drawn by the news, the Portuguese king Afonso IV immediately lodged a protest, claiming priority of discovery, but conceded to the authority of the pope. Before the conquest, this territory contained a number of competing Mesoamerican kingdoms, the majority of which were Maya. Many conquistadors viewed the Maya as infidels who needed to be converted and pacified. Several Spanish expeditions followed in 1517 and 1519, making landfall on various parts of the Yucatán coast, the Spanish conquest of the Maya was a prolonged affair, the Maya kingdoms resisted integration into the Spanish Empire with such tenacity that their defeat took almost two centuries. 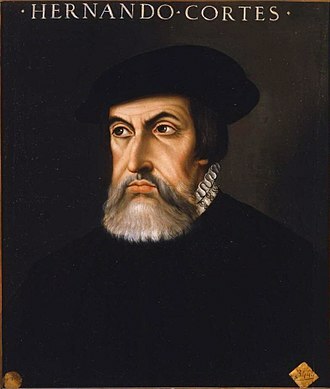 Pedro de Alvarado arrived in Guatemala from the newly conquered Mexico in early 1524, commanding a force of Spanish conquistadors and native allies. Geographic features across Guatemala now bear Nahuatl placenames owing to the influence of these Mexican allies, the Kaqchikel Maya initially allied themselves with the Spanish, but soon rebelled against excessive demands for tribute and did not finally surrender until 1530. In the meantime the other major highland Maya kingdoms had each been defeated in turn by the Spanish and allied warriors from Mexico and native tactics and technology differed greatly. 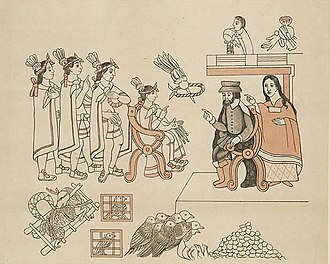 The Spanish viewed the taking of prisoners as a hindrance to outright victory, whereas the Maya prioritised the capture of live prisoners and of booty. The Maya preferred raiding and ambush to large-scale warfare, using spears and wooden swords with inset obsidian blades, in response to the use of Spanish cavalry, the highland Maya took to digging pits and lining them with wooden stakes. These letters were despatched to Tenochtitlan, addressed to Cortés but with an audience in mind. Gonzalo wrote an account that mostly supports that of Pedro de Alvarado, Pedro de Alvarados brother Jorge wrote another account to the king of Spain that explained it was his own campaign of 1527–1529 that established the Spanish colony. His account was finished around 1568, some 40 years after the campaigns it describes, Hernán Cortés described his expedition to Honduras in the fifth letter of his Cartas de Relación, in which he details his crossing of what is now Guatemalas Petén Department. Dominican friar Bartolomé de las Casas wrote a critical account of the Spanish conquest of the Americas. The Brevísima Relación de la Destrucción de las Indias was first published in 1552 in Seville, other accounts were in the form of questionnaires answered before colonial magistrates to protest and register a claim for recompense. A letter from the defeated Tzutujil Maya nobility of Santiago Atitlán to the Spanish king written in 1571 details the exploitation of the subjugated peoples, Francisco Antonio de Fuentes y Guzmán was a colonial Guatemalan historian of Spanish descent who wrote La Recordación Florida, called Historia de Guatemala. The book was written in 1690 and is regarded as one of the most important works of Guatemalan history, field investigation has tended to support the estimates of indigenous population and army sizes given by Fuentes y Guzmán. 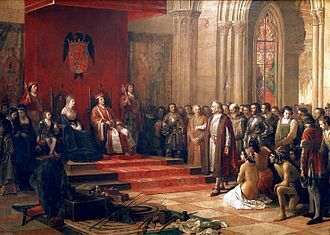 Christopher Columbus discovered the New World for the Kingdom of Castile, private adventurers thereafter entered into contracts with the Spanish Crown to conquer the newly discovered lands in return for tax revenues and the power to rule. The Battle of Manila Bay took place on 1 May 1898, during the Spanish–American War. The American Asiatic Squadron under Commodore George Dewey engaged and destroyed the Spanish Pacific Squadron under Admiral Patricio Montojo, the battle took place in Manila Bay in the Philippines, and was the first major engagement of the Spanish–American War. 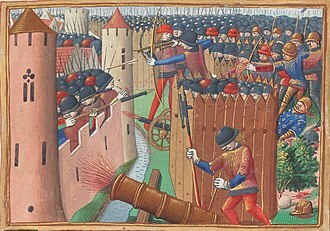 The battle was one of the most decisive battles in history. Americans living on the West Coast of the United States feared a Spanish attack at the outbreak of the Spanish–American War, only a few U. S. Navy warships, led by the USS Olympia, stood between them and a powerful Spanish fleet. Admiral Montojo, a career Spanish naval officer who had been dispatched rapidly to the Philippines, was equipped with a variety of obsolete vessels, efforts to strengthen his position amounted to little. The strategy adopted by the Spanish bureaucracy suggested they could not win a war, Montojo compounded his difficulties by placing his ships outside the range of Spanish coastal artillery and choosing a relatively shallow anchorage. His intent seems to have been to spare Manila from bombardment, the harbor was protected by six shore batteries and three forts whose fire during the battle proved to be ineffective. Only Fort San Antonio Abad had guns with enough range to reach the American fleet, at 7 p. m. on 30 April, Montojo was informed that Deweys ships had been seen in Subic Bay that afternoon. As Manila Bay was considered unnavigable at night by foreigners, Montojo expected an attack the following morning. Oscar F. Williams, the United States Consul in Manila, had provided Dewey with detailed information on the state of the Spanish defenses, based in part upon this intelligence, Dewey—embarked aboard USS Olympia—led his squadron into Manila Bay at midnight on 30 April. 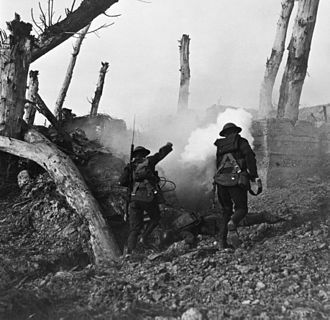 Passing the entrance, two Spanish mines exploded but were ineffective as they were well below the draft of any of the due to the depth of the water. Inside the bay, ships used the north channel between Corregidor Island and the northern coast, and this was the only channel mined. The Tzʼutujil kingdom had its capital on the shore of Lake Atitlán. Zaculeu fell to Gonzalo de Alvarado y Contreras after a siege of several months. The difficult terrain and remoteness of the Cuchumatanes made their conquest difficult. Hernán Cortés, conqueror of the Aztecs, travelled across Petén in the early 16th century. Lake Yaxha is surrounded by dense forest. U.S. Marines show their appreciation to the Coast Guard. 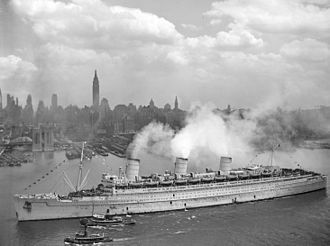 Nicknamed the "Grey Ghost", RMS Queen Mary holds the all-time record for most troops on one passage, 15,740 on a late July 1943 run from the U.S. to Europe transporting a staggering 765,429 military personnel during the war. 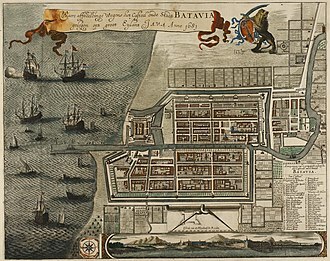 Drawing of Batavia (now Jakarta) in the 17th century. "Raising the American flag over Fort Santiago, Manila, on the evening of August 13, 1898." drawing from Harper's Pictorial History of the War with Spain. Filipino troops of Colonel Tecson in Baler, May 1899. Tecson is to the right of the cannon, Novicio to the left. 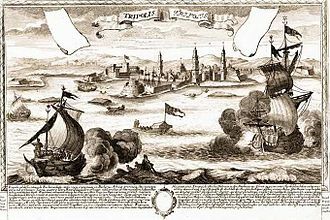 The Ottoman fleet attacking Tunis at La Goulette in 1574. Ottoman troops (about 5,000 janissaries) and Kabyle troops, led by Uluç Ali, Pasha of Algiers, marching on Tunis in 1569. Oran's harbour. Painting of 1613 by Vicente Mestre.